Inclusion means that every person, of every ability, should have the opportunity to fully engage, contribute and participate in their community. How does this happen? This happens when the whole community gets involved! That’s why for the second year we’re calling on classrooms, workplaces and the community as a whole to celebrate Inclusion Day as a part DD Awareness Month on March 16th. 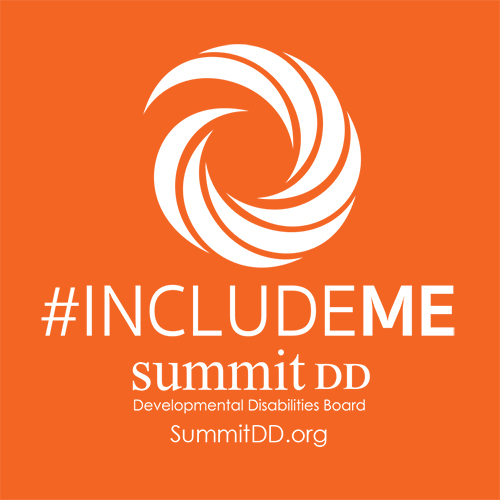 That means wearing orange on March 16th and using the hashtag #includeME to spread inclusion pride throughout the community. But that’s only the beginning! We’ve also put together this guide with resources, tips, ideas, activities and events as a blueprint for your journey to inclusion. Take what you learn and make it your own! Books, apps, websites and social media offer all kinds of awesome ways to spread inclusion in your classroom, workplace or neighborhood. Explore the lists below and find new ways to get involved. Use your own voice to make a difference with some social media prompts to inspire your friends!